Our solution typically operates as an overlay to your existing sensor/meter infrastructure, which means that you won’t need to overhaul or replace what you already have. 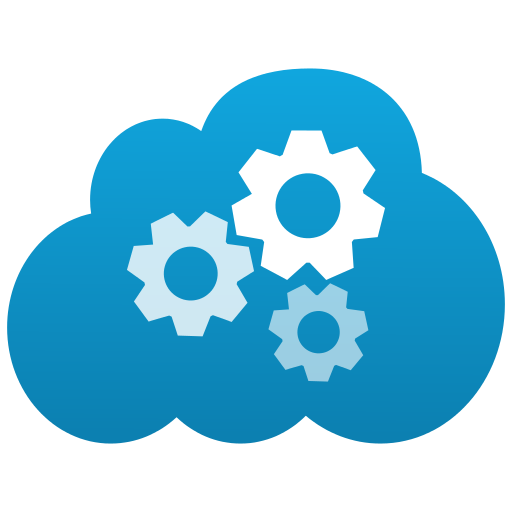 Our advanced agent / cloud technology acquires critical KPI data from your current systems, processes the data and stores it in our secure global cloud infrastructure. You then access everything from a simple web browser or mobile app. Full Role Based Access Control (RBAC) means that you can federate data out to system users while maintaining tight controls over who can see what. Network connected sensors and gateways offer deep insight into critical data about the health and operations of a huge variety of systems. Not just Up | Down, but the low level sensor data that can be hugely important to system performance and capacity planning. Facilities and Engineering teams have been trying to get a handle on this data for decades, but were always at the mercy of older / slower data protocols, outdated and clunky software and vendor propriety systems. NMSaaS can unlock that potential by bringing a modern IT device management approach to this issue. NMSaaS can gather data directly from sensors, or (more generally) from IoT gateways that connect the sensors to a traditional TCP/IP network. If you don’t already have sensors/gateways, our engineers can help design and build your IoT system – or if you already have those peices in place, we can run as an overlay and provide data acquisition and reporting solutions. Electrical Power Meters for Hospitals, Data Centers and other critical infrastructure. Fleet Management for electric/hybrid vehicles. Including municipalities and large corporations. Water and gas metering for municipalities and state governments. Entry Card Readers and IP cameras for building security. HVAC and other temperature specific monitoring (such as freezers). 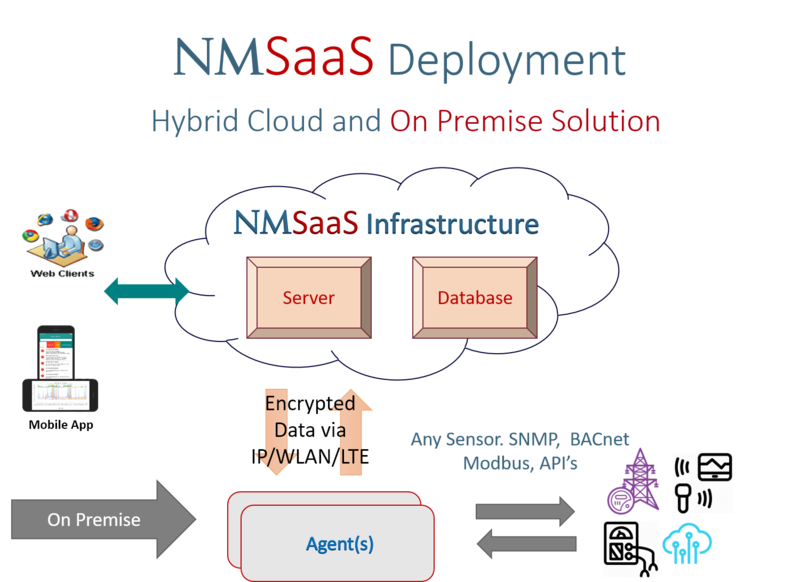 NMSaaS can also work with you to develop a custom solution to your individual needs. 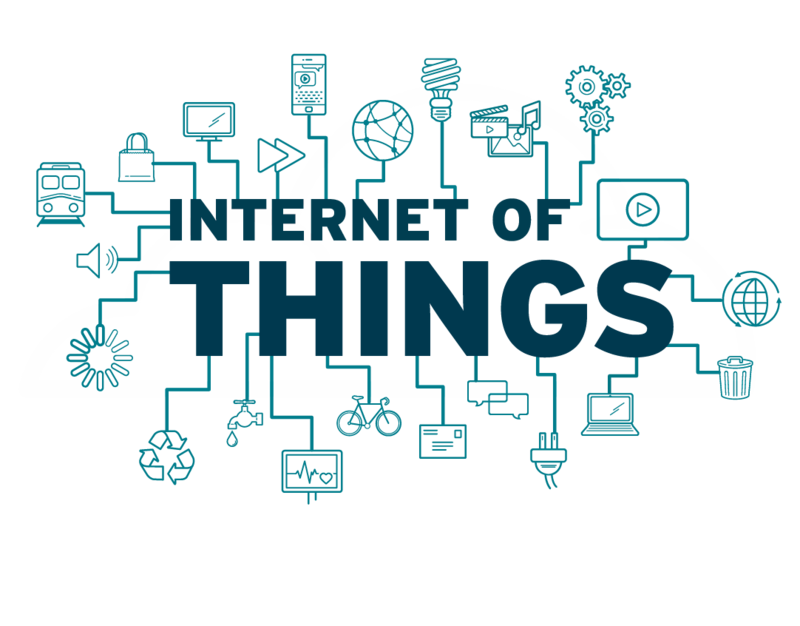 Please contact us to discuss your IoT project with one of our IoT SME’s. NMSaaS simplifies the collection and long term storage of your IoT sensor data. 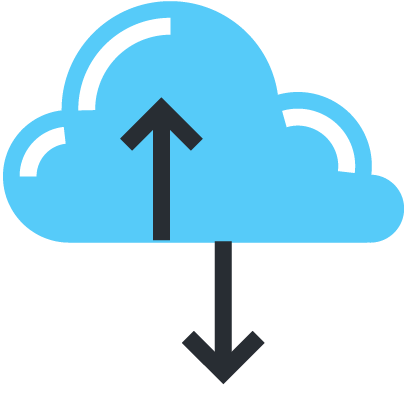 Our Hybrid-Cloud deployment utilizes on premise hardware or software agents to collect data and then forwards that data securely to our cloud infrastructure. Data transmission can be via standard wired / WLAN IP connections, VPN’s or LTE mobile broadband connections. Our easy to use browser based front end delivers immediate insight into your data. Combined with our ability to completely customize Dashboards, Reports, Inventory & Alarms, NMSaaS provides unparalleled IoT results for your organization.